Easily market your inventory, promotions and events via high converting email newsletters. We even have proven strategies to help you build up your list of quality email subscribers. See who opened, who clicked a link, which promotions were more successful, etc. 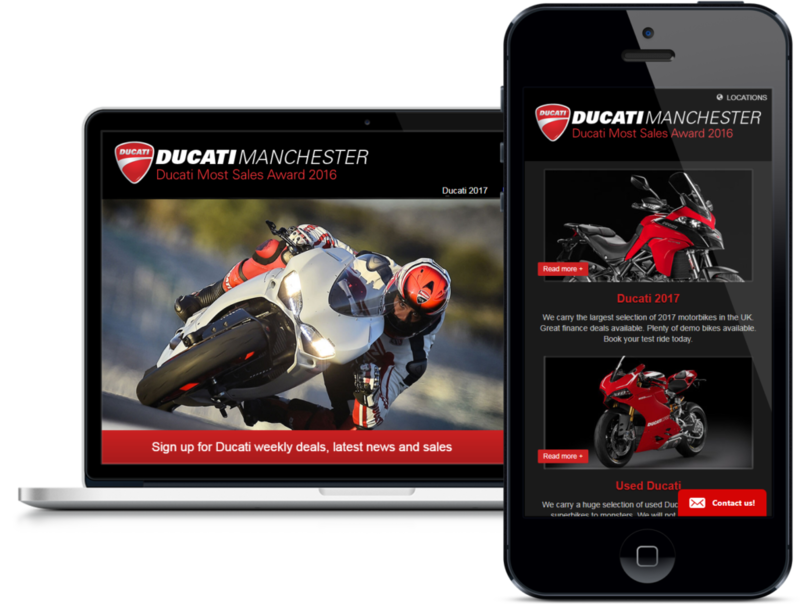 Targeting your emails with relevant messaging to specific customer groups such as gender, style of riding, exisiting customers, showroom walk-in etc. Schedule & set up automatic follow ups and content triggered by specific visitor behaviours. Streamline your online marketing efforts and get more sales.